The 2019 Tour de France starts on July 6 in Brussels, Belgium, to honour the 50th anniversary of Eddy Merckx’s first Tour victory. And while it may be a little early to set your PVR, we’re already excited to see tough, aggressive racing on some of the sport’s most legendary climbs. Here are five stages we can’t wait to watch at next year’s Tour. Fabio Aru rides to La Planche des Belles Filles in the 2017 Tour. Since its debut in 2012, the summit finish at La Planche des Belles Filles has played a major role in determining the outcomes of all three Tours in which it has appeared. A ski station in the mountainous Vosges region of eastern France, La Planche is shorter than most Pyrenean and Alpine climbs, but its steep slopes often force the first selection in the General Classification. Race organisers have added new challenges next year: The inclusion of a steep, soon-to-be-paved utility road tacks on an extra kilometre at the top, while three tough climbs earlier in the stage mean riders will already be tapped heading into the final ascent. The Tour’s first week ends with a trip to the Massif Central, a mountainous region known for its high temperatures and tough climbs. Organisers plan weekend stages to maximise excitement, and these two should deliver aggressive racing and maybe a GC surprise or two. Stage 8 is by far the toughest of the pair, with five categorised (and several uncategorised) ascents for a total of almost 4,000 metres of climbing. Both stages will be tough to control, so whichever team has the yellow jersey should have its hands full defending against breakaways. And it’s Bastille Day weekend, so the roads will be packed with vacationing fans. At only 117K, Stage 14 is the shortest of the 2019 Tour, but it’s not the distance that has us clearing our calendars. The day ends with a summit finish on the Col du Tourmalet, perhaps the most famous climb in the Pyrenees – and one of the hardest. A 19K ascent that saves its steepest pitches for the final three kilometers, the Tourmalet made its debut in 1910 and has since been the setting for some of the Tour’s most legendary exploits. Yet despite this rich history, it’s only served as a stage finish twice before. Scheduled between the race’s only individual time trial and another summit finish, Stage 14 is the stunning centerpiece of three days that will surely affect the outcome next year. Riders in the 2015 Tour climb the Col du Tourmalet. In recent years, the Tour has trended toward short climbing stages in the hopes of promoting more aggressive racing. But we’re still fans of long, epic mountain stages that were the norm in the 1980s and ’90s. That’s why we have our eyes on Stage 18. Starting in Embrun, this 207K monster is the first of three days in the Alps, and it covers some legendary ground: the Col de Vars, Col d’Iseran, and Col du Galibier, a 23K ascent that, like the Tourmalet, saves its worst grades for the summit. All three climbs top out at well over 2,000 metres, making this one of the hardest mountain stages we’ve seen in a long time. One day before they hit Paris, riders will face their final Alpine test. This short, 131K stage from Albertville to Val Thorens features three ascents: the Cormet de Roseland, the Côte de Longefoy, and the final 33K (!) climb to the famous Val Thorens ski resort. 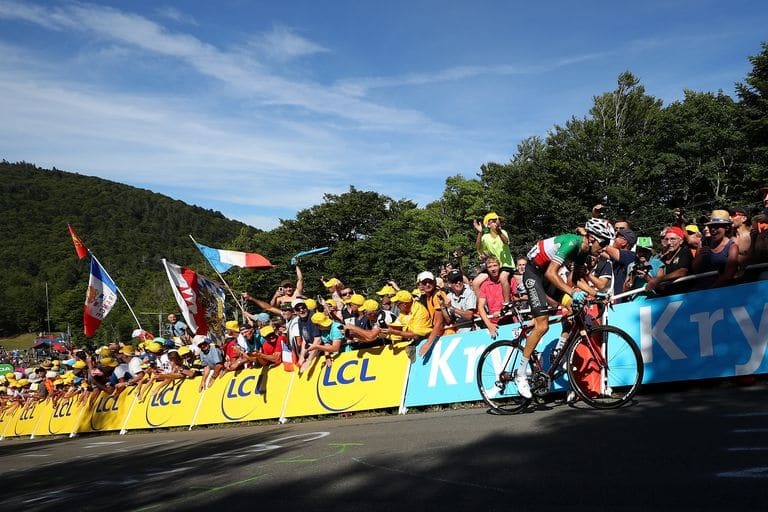 The race’s third summit finish above 2,000 metres – a new record – it’s also the final chance for riders hoping to win the 2019 Tour. With so much climbing, and without a late-race time trial, we think this could be the year where a pure climber wins it all.